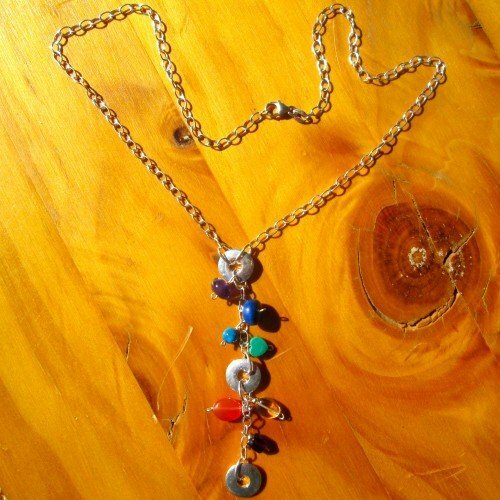 Chakra necklace tumble stone crystals is as popular as ever. 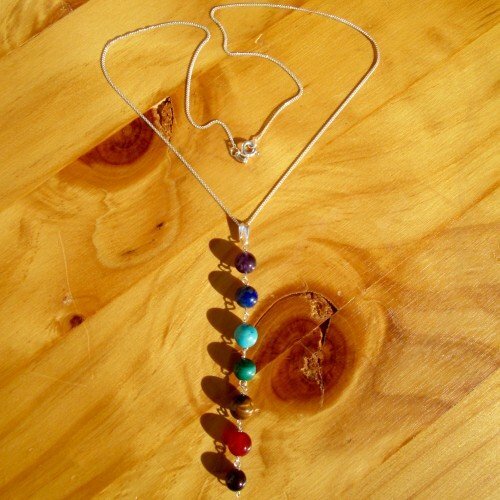 Most importantly, each of the seven blocks of semi-precious tumble stones and crystals corresponds with each of the even main chakras. Besides that, they are tied onto a fine but strong nylon thread. 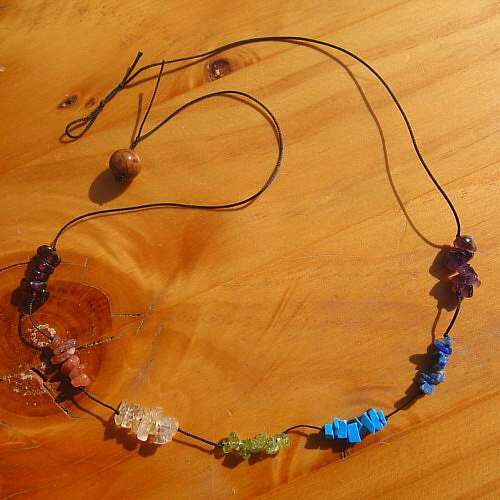 As a result, clients love the simple, natural and dainty feel of this “chakra necklace tumble stone crystals”. Another feature is that no silver or other metal is used. 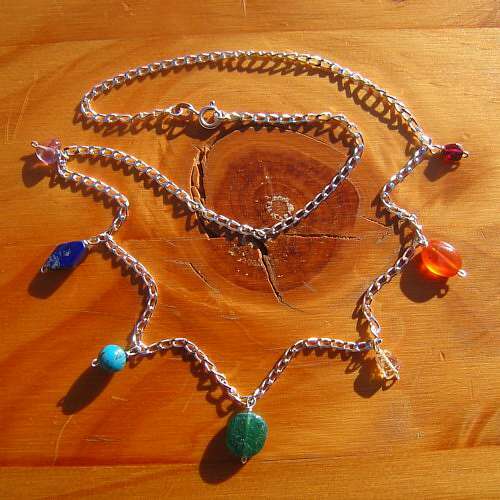 Therefore, they are great for clients with allergies to silver. There are two sizes available for you. Either 16 inches/40cm or 18 inches/45cm. 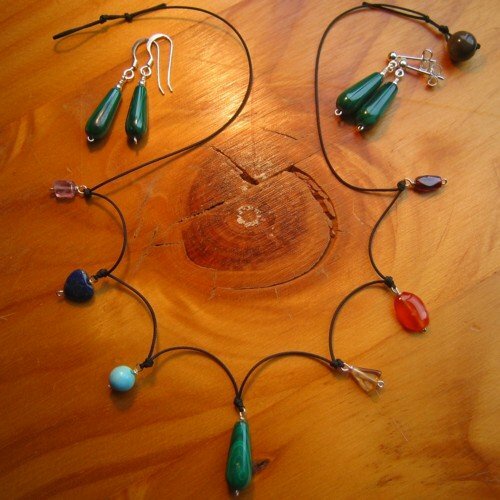 A petrified (fossilised) wood bead is used to fasten your chakra necklace. Interestingly, petrified wood also corresponds with the base chakra.